Recording Artists: Front Row: Recording Artists EmmyLou Harris, Ricky Skaggs and Breanda Lee. 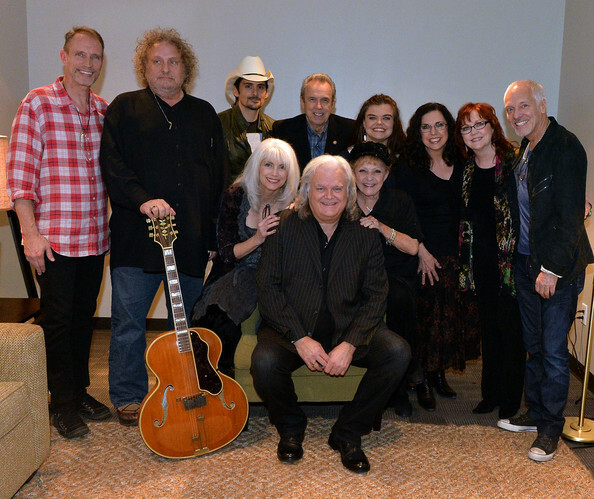 Back row: Gordon Kennedy, Brian Ahern, Brad Paisley, The Whites Buck White, Molly Skaggs, Cheryl White, Sharon White and Peter Frampton backstage at the CMA Theater on November 18, 2013 in Nashville, Tennessee. Skaggs was recently announced as the Country Music Hall of Fame and Museum's 2013 Artist-in-Residence.